Headstone: A headstone exists, but removed. It now stands against the Raby Road boundary wall with many others. 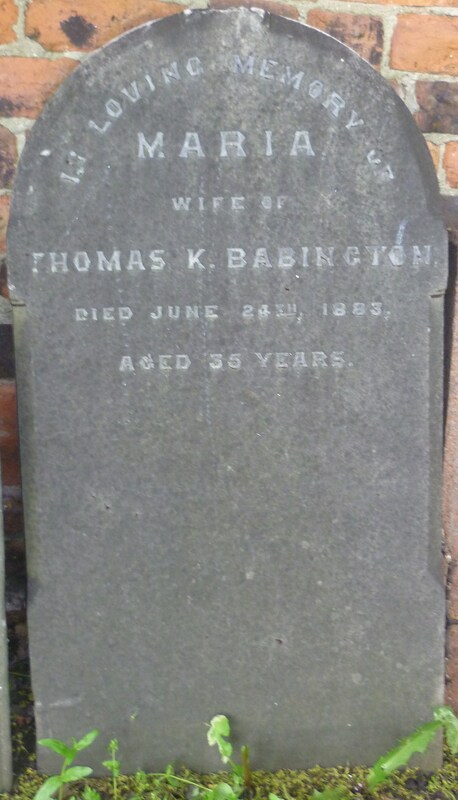 Inscription is carved & worn reads: In loving memory of Maria Babington wife of Thomas K Babington who died June 24th 1883 aged 35 years.